September 22, 2018 1:00PM Vipers DII Richmond Poole Rd. 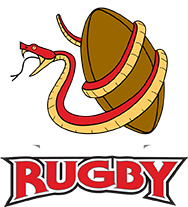 September 29, 2018 1:00PM Washington RFC Vipers DII Washington, D.C.
October 20, 2018 1:30PM Vipers DII James River Poole Rd. 3:00PM Vipers DIII Fort Bragg Poole Rd. October 27, 2018 1:00PM Vipers DII Washington RFC Poole Rd. 1:00PM Vipers DIII Cape Fear Poole Rd. March 2, 2019 1:00PM Vipers DIII Camp Lejeune Poole Rd. March 9, 2019 1:00PM Vipers DII Southern Pines Poole Rd. Vipers DIII Asheville Poole Rd.